Melissa joined the staff in 2015. She received her undergraduate degree from the University of South Carolina, her Masters of Divinity from the Louisville Presbyterian Theological Seminary and was ordained as Minister of Word and Sacrament in 2001. 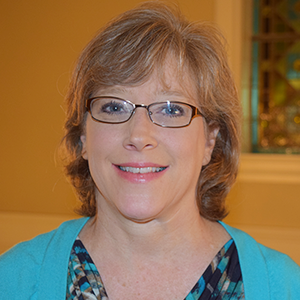 In her role Melissa oversees Pastoral Counseling as well as Care Ministries, which is made up of over 80 lay volunteers. She supports our congregation in times of illness, crisis, addiction, divorce, loss and much more. "One of my favorite quotes is from Mandy Hale, 'To make a difference in someone's life, you don't have to be brilliant, rich, beautiful or perfect. You just have to care.' It is my honor to serve alongside such a caring congregation."